I love working at summer institutes where teachers have enough time and space in their heads to devote themselves to learning. And I love them, too, because they give me a chance to try out new thinking and learning. This happened not only in California, which I wrote about last week, but in Paramus, New Jersey, where one of my educational heroes Tom Marshall runs summer institutes on the teaching of reading and writing that bring both new and seasoned educators together from across the state and beyond. As Poliner writes, she began mapping out Munro stories because “they [didn’t] seem constructed at all as much as breathed into life,” and she “wondered, on a structural level, what was really going on. How did she do it?” The first story she mapped was “The Progress of Love,” which, like many Munro stories, makes several shifts between a character’s childhood and adult life. And what she learned as a writer from doing that was “that when you move around a lot in time it can be useful to have one part of the story move linearly, like the backstory of the narrator’s youth.” You can see how she arrived at that from her map below, where the backstory’s represented in the boxes at the bottom, with the three scenes from the narrator’s adult life (which happen at different times) in the boxes above where the shifts happen. Of course, this is a quite complex story and Poliner is a serious writer, but the combination of stumbling on this article and preparing for the institute made me recall a seventh grade teacher I’d worked with, Sarah Whitman, who was using the TC Unit of Study, which referred to some comments Kurt Vonnegut had made about the shape of stories. The unit recommended using those comments to introduce story arcs, which in the unit look like story mountains minus the boxes and academic language, not like the variety of shapes in the first image. But Sarah took this one step further. Looking for Vonnegut’s original comments, she discovered a video in which he talked more about story shapes, and she brought that more complex vision to her classroom. I urge you to click through to the video, which is definitely worth watching, as Vonnegut is hysterical and explains much more than the TC unit captures. He maps a story’s shape on an axis-chart with the horizontal line representing the span of the story, from the beginning to the end, and the vertical charting the character’s experiences, ranging from ill to good fortune. And below you’ll see a variation that maps Cinderella as she moves across the story from misery to ecstasy, with the specific events of the story identified for each dip and rise. I shared both the video and the Cinderella map with my group in Paramus then asked them in groups to try mapping one of the mentor texts I’d shared, which included Too Many Tamales by Gary Soto. The book tells the story of Maria who, longing to look and act more grown up on Christmas Eve, slips on her mother’s diamond ring while making the batter for the tamales, only to realize with horror later that she no longer has the ring. She thinks it fell off as she mixed the batter and is now inside one of the tamale, but when she enlists her cousins in eating the tamales to find the ring, it’s still missing. Where, on the line between bad and good fortune (or a sad and happy faces) might my story begin? If my character begins on a high note, do I want something to happen to indicate a possible problem or trouble? What could that be? How many setbacks do I want my character to have before—or as—things get better? What kind of events could show that? And where on the spectrum should my story end? I’m eager to hear what the teachers and coaches who attended my session do with this work as school starts up, and I’d be happy to hear from blog readers as well who try this out with students. More than anything, though, I think this shows the importance of giving teachers the time to actually do and think through the work they’re asking of students to do and to question accepted practices. Several weeks ago I was in a 6th grade class that was reading Rick Riordan‘s The Lightning Thief, a book that has brought the Greek gods back to life for a generation of readers. The sixth grade team had decided to look at the book through the lens of conflict, knowing that the book was rife with conflicts as Percy Jackson struggles to not only slay monsters and navigate the worlds of both men and gods, but to figure out who he actually is. To help students keep track of their thinking around conflict the teachers had designed a graphic organizer, which asked the students to think about the kind of conflict they saw in each chapter and cite a quote from the text that revealed it. And that day, as the teacher handed out the worksheet, she said that the chapter they’d just read was great because it was full of conflicts. “But there’s only one box,” a student said as he looked down the organizer. Fortunately the teacher jumped right back and said they could use the boxes below that, which had been intended for subsequent chapters. But the moment raised a troubling question: How often do the supports we give students actually limit, not encourage, their thinking. In this case we wanted the students not just to identify the type of conflict—which, whether we use Bloom’s Taxonomy or Webb’s Depth of Knowledge, isn’t exactly higher order thinking. Instead, in our planning sessions, we talked about wanting the students to think more deeply about conflicts, exploring their causes, how they might be connected, how Percy dealt with them or not, which would ultimately give us a window on whatever Rick Riordan was trying to explore about the human condition (a.k.a., the themes) through Percy’s experiences. But unfortunately the organizer didn’t capture all that thinking; it fact, it limited how deeply students could go simply by not giving them room to write more than a word or a sentence. It also limited the students’ ability to talk more about their own thoughts by wrestling and exploring questions like, Which did they think was more challenging for Percy, fighting the minotaur or discovering that his mother had lied to him his whole life—and, of course, how and why? That’s not to say that we should go out and banish all worksheets and graphic organizers. But we do have to be aware of the kind of thinking they’re asking for and if they’re actually instructional tools meant to support and push students thinking or assessments of what’s been taught. The organizer below, for instance, asks students to record what they’ve already thought, not develop new thinking, and as such, I’d say it’s an assessment, not a tool. And it leaves the harder thinking work—how you figure out the main idea in the first place, especially in a text where it isn’t explicit—invisible. This other one, however, from the National Archives online Teacher’s Resources page, actually invites students to notice more than they have at first when it asks them to “divide the photo into quadrants and study each section to see what new details become visible.” And then it asks them to make something of what they’ve notice—i.e., to grow new thinking—by asking them to “list three things you might infer from this photograph,” based on what they noticed. This one seems far more useful to me because it offers a process of thinking that can lead to new thoughts and insight. And it also gives teachers a window on how students think, which the first graphic organizer doesn’t. We might see there who could identify a main idea and supporting details, but for those that couldn’t, we can’t really see where the thinking might have broken down. But even the best graphic organizers can be problematic because they feel disposable. In fact, my hunch is that if we collected all the graphic organizers and worksheets that wind up crumpled in trash cans, students’ cubbies, lockers and desk, as well as those that have fallen like dead leaves out of folders and binders, they might, strung together, circle the earth as many times as discarded plastic bottles do. And they seem disposable because, even when we try to make them fun—using silly shapes or metaphors like the paragraph hamburger—they don’t really belong to the students. And because of this whatever learning might be captured in those graphic organizers might be discarded along with the paper. 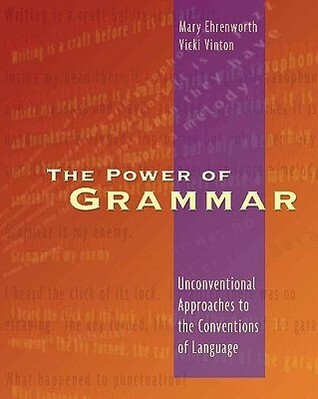 Granted, the students didn’t identify the poetic devices that Grimes’s used. 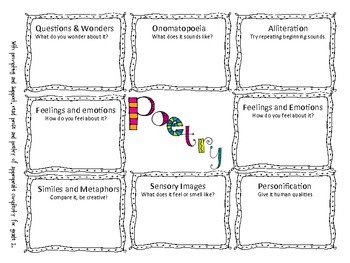 But they definitely got the poem—which raises another question: What’s the more critical and higher order thinking work, identifying a metaphor or thinking about what it means within the context of the poem? In the laboratory, where she and Henrietta worked at the same dissections and experiments, their notebooks looked like they were taking two different courses. Henrietta did as she’d learned in Oswego: neat ruled columns, numbered lists of observations, modest questions framed without any trace of personality, and in such a way that they might be answered. The “I,” Mr. Robbins had said, has no place in scientific study. Daphne’s pages seemed, in contrast, to be filled with everything Henrietta had expunged. Scores or drawings filled the margins, everything from fish eggs to the fringed feelers of the barnacle’s waving legs. Describing a beach plum’s flowering parts, she broke into unrelated speculations, circled these darkly, and then drew arrows from there to cartoons of the professor. We can say that by taking on her former teacher’s ideas, Henriette put herself in a box, while Daphne made the information her own, which seems to me one of the hallmarks of true independence, which should always be our ultimate goal. So let’s be careful and more aware of when we put students in boxes—lest we inadvertently stifle and stunt their growth and thinking, which I’m sure we don’t want to do. The words quoted above were spoken by Susan Mackey of the Opal School in Portland, Oregon, in a session on “Playful Literacy” that I participated in, along with three of Susan’s colleague from Opal, Mary Gage Davis, Levia Friedman and Kerry Salazar. The session was filled with stories (more of which can be found on their blog) about children and teachers who were given the time, the space and, most critically, the trust to follow their curiosity, seek connections and wonder, imagine and dream, knowing that whatever came out of that time would ultimately be more lasting and meaningful than anything that was rushed. This included the story of a fifth grade boy whose class had just returned from a trip to a rock and ropes challenge course. Back at school his teacher Levia had set out some materials, including some slabs of clay, which she invited the students to use to explore their feelings about their adventure before they turned to writing. And this particular boy discovered that if he put his finger in the slab of clay and then pulled it out quickly, it would make a popping noise, which, delightfully to some classmates, sounded just like fart. He also discovered that the sound became louder if he added some slip to the clay, and soon a whole corner of the room was consumed with creating a chorus of farts. Finally, teacher and author Linda Rief shared how she set up her class of eighth graders to do precisely what Georgia recommended: to find themselves inside a poem. She brought out every anthology and collection of poems that she had in her classroom and invited her students to browse through and read some in order to find poems “that speak to your heart.” Once they found one, Linda asked them to write out the poem in the their own hand, forming each word themselves, then illustrate the poem, write a response about why you chose it, and research the poet to find out what he might have to say about reading and writing. This led students to read more poems than they ever had before and to spend more time with those that spoke to them. One girl, for instance, loved the poem “Burning the Old Year” by Naomi Shihab Nye, though she couldn’t quite say why. Something about the images and language struck a chord in her, and in order to understand that better, she went back to the poem again and again, reading it carefully and closely and, as she put it in her response “sleeping on her confusion,” until she discovered something about both herself and the poem. What’s the Main Idea of the Main Idea? In my ongoing belief that we, as teachers, learn much when we try to do the tasks we assign to students, I asked a group of teachers I worked with to do a task that was part of a 5th grade nonfiction reading and writing unit recommended by the NYC Department of Ed. The unit, designed by the Teachers College Reading and Writing Project, asked students to read and watch several texts and videos related to zoos and endangered animals in order to ultimately write an opinion essay. But before they took a stance on the topic, the students had to complete a smaller task for each text and video they studied, one of which the teachers and I agreed to try out ourselves. The piece is a wonderful choice of text, but when I announced the task to the teachers, anxiety filled the air. Clearly we all felt the pressure to perform what turned out to not be such a simple task. If you click through to the piece, you’ll see that it’s quite complicated; it explores multiple points of view about multiple problems and solutions that have multiple causes and effects, and some of these aren’t explicitly stated—which meant that we couldn’t simply look for a main idea sentence, which is something we teach students to do. Additionally, as we tried to write we wrestled with another problem: What was the prompt really looking for? One teacher used a strategy she’d taught her students to use: she identified the who, what, when, where, and why. But in doing so, she feared she’d reduced the complexity of the piece to a single perspective. Another felt that writing a summary of the main ideas was something of an oxymoron, with summaries sticking to the surface of the text and main ideas going deeper. Several of us, on the other hand, sought to capture what we saw as the big picture, which had to do with how human beings had messed things up for animals. But in trying to do that in a timed setting, we left out critical details. I, for one, neglected to mention elephants, while a colleague forgot to note zoos. As we debriefed the experience—which began with relief that we weren’t getting graded—we acknowledged how challenging this was with a complex text and how inadequate much of the instruction we offer to students is. Too often, for instance, we model finding the main idea with a text that’s simply too simple—e.g., one in which the main idea is explicitly stated in the text. Or we model in ways that are, frankly, confusing, with the supporting details not really connected to the supposed main idea. All these problems and more were on display in the student work I recently looked at with a 7th grade teacher. She’d decided to supplement her students’ reading of Shirley Jackson’s “The Lottery” with several nonfiction articles about unusual traditions around the world. And in addition to considering the thematic connection to “The Lottery,” she wanted to use these nonfiction pieces to give her students practice in finding the main idea. To do this, she broke the class into small groups and gave each group an article to look at, including one about a small town in Spain that celebrates the town’s patron Saint Day by throwing a live goat from the church’s bell tower. Then she asked each group to read their text, discuss it, then create a chart that noted the main idea and supporting details. Several groups cited the topic (which was usually the name of the tradition) as the main idea, writing down, for instance, “The Day of the Dead” at the top of their charts. That made us suspect that some students weren’t sure about the difference between a topic and an idea. And while, as you can see below, the group that read the goat throwing article was able to do more than that, we weren’t sure there if they understood the difference between a fact and an idea (which we had to wrestle with ourselves) or if they realized that a main idea could be implicit, rather than explicit, which meant that they might have to do more than chose a sentence to quote. We also thought that whether that group was aware of it or not, they had, in fact, noticed a pattern: a handful of details about what people thought about the tradition. And if they considered what the writer might be trying to show them through that pattern, they might be able to construct a main idea, rather than identify or find it. But that would require a change in the kind of thinking we ask students to do. Whether they’re in the shape of a flower, a table, a fishbone or a hamburger, most of the graphic organizers we have kids fill out ask them to think deductively—that is, to come up with a large generalized idea first then think about what supports that. Starting with the details, however, and then thinking about what ideas they might point to involves inductive thinking. And while deductive thinking often works in texts where a general idea is spelled out, many students simply have no idea how to ‘spot’ a main idea when it’s not right there for the spotting, and they need to see how use details to build those bigger ideas. Finally, I noticed another pattern in the goat throwing piece that seemed to have implications for thinking about main ideas: recurring references to how no one really knew the origin or purpose of the custom. The same, I think, is true of the way we tend to teach the main idea. We do it the way it’s traditionally been done, with the same old strategies and worksheets, without necessarily questioning why or assessing the strategies’ effectiveness. And in this new world we find ourselves in, with its emphasis on complex texts, perhaps it’s time to think more complexly about the main idea. When a friend and colleague heard I was going to Las Vegas for NCTE so soon after being in Reggio Emilia, she thought it might be interesting for me to compare the two places. My initial thought was no, that’s too easy. The light, the noise level, the language—all different. The money, the history—all different as well, with Las Vegas, as we know it, a virtual newborn in the span of human time and some buildings in Reggio standing in place for more than one thousand years. With Las Vegas and Reggio, I think I was simply ticking off “readily apparent features” without being terribly insightful, just as I described many students doing in last spring’s post on the limits of graphic organizers. Of course, sometimes a student will come up with something that does seem “deep and penetrating.” But I don’t think we always teach toward that, aiming instead at just teaching the skill without that attention on quality. Or put another way, we teach the concept of comparing without teaching the concept of significance. The Common Core Standards, however, have dramatically upped the ante in ways that I think are important. In the case of comparing, for instance—a.k.a. Anchor Reading Standard 9—the focus should be on significant, not superficial, comparisons. 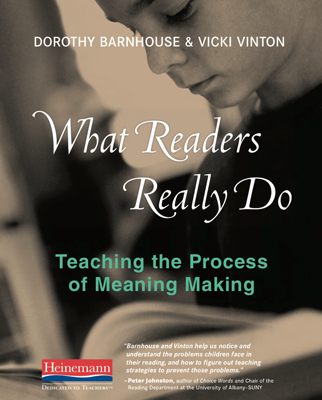 But how can we instructionally help students move beyond what’s readily apparent to what’s more penetrating but often less visible—a step which often requires readers to look beyond the specifics of any one text to something that’s more abstract and general? Thinking about this, I’ve developed a theory that, when comparing, it’s often useful to focus exclusively on similarities between two things or texts that, on the surface, seem different, and explore differences when similarities are more apparent. Then once those have been mapped out, the next step is to dig into the differences within the similarities or the similarities within the differences. I tested this theory out last spring with a group of middle school teachers who had gathered for two days to explore ways of helping students read complex nonfiction texts on a common topic or theme. To make this concrete, I asked them to read an excerpt of Philip Hoose‘s Claudette Colvin: Twice Toward Justice, which combines transcripts of interviews with Colvin with more expository text, using a text-based Know/Wonder chart to see how it could help students connect details within the text (e.g., figure out why the number ten was detested, which is mentioned on the first page below). Both girl’s parents were addressed by their first name by white people. Both girls learned lessons about the social structure they lived in very early in life. The social structure was enforced through threats of violence, insults and humiliation. Both girls felt fear, uncertainty and confusion. Both girls saw the adults around them afraid. Both girls were expected to take responsibility for something that was done to them, not by them. Neither girl’s parents could protect them. Both girls felt that there were unstated rules “in the air”. As these were shared, I invited teachers to add ideas they hadn’t thought of before to their list. Then I asked them to look at their expanded list and think about which similarity seemed the most important or significant to them and on another page of their notebook to briefly explain why. Using another think-to-write strategy, the Write-Around, from Harvey Daniels, Steven Zemelman and Nancy Steineke‘s Content Area Writing, I then had everyone pass their notebook to the person on their right. That person would then read what the other person wrote then write a quick response, extending, commenting, questioning, and probing what the writer before them had said, before passing the notebooks yet again to the right. After several passes, the notebooks were returned to their owners who were eager to see how their original thinking had traveled and evolved. And at that point, they felt they would be prepared to have a more formal discussion or even to begin planning out a piece of writing. 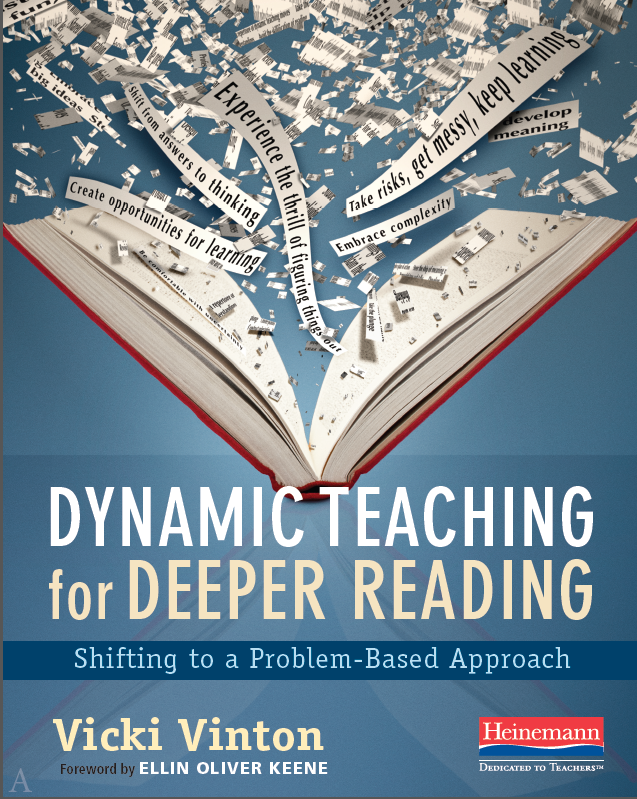 But perhaps, most importantly, they saw how this process could help lift their students’ thinking beyond the obvious or the superficial in ways that would help them, not just meet the Standards, but understand the undercurrents of a topic in that deep, more penetrating way. Which brings me back to Vegas and Reggio. After giving myself some time to brainstorm, I did come up with something that was similar and more significant than the fact that both cities had two-word names that were often shortened to one. Both cities revolved around public spaces where people congregated and socialized. In Las Vegas, it was the casinos; in Reggio, the piazzas. And what seemed different within this similarity was the purpose of those spaces. In Reggio the piazzas helped the community connect and strengthen their social bonds, while the casinos were there to make money—with visitors like me forced to walk through the casinos just to get water or coffee. These differences led to a final similarity: The purpose of these spaces reflected the cultural values of each of the cities, with those values again being different. Anyone want to place a bet on which one I liked best?